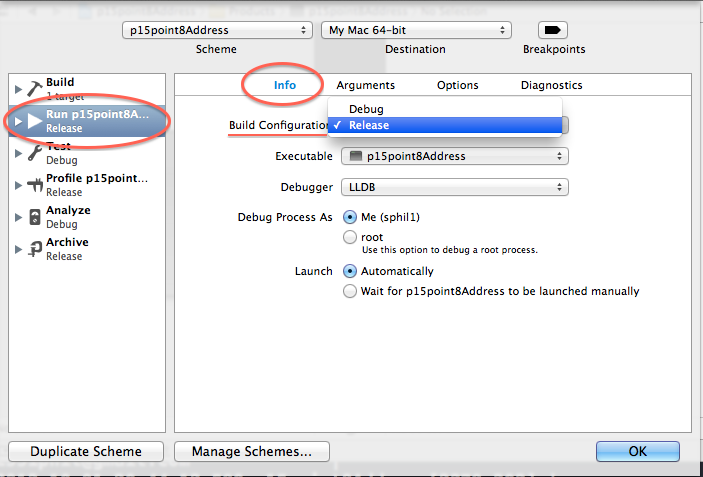 Posted on October 1, 2013, in Xcode, Xcode 4, Xcode 5 and tagged build, scheme, Xcode. Bookmark the permalink. Comments Off on change between debug and release build.